Namely, when either the MacBook Pro's solid state drive or main logic board experiences failure, both need to be replaced simultaneously. Apple's memo doesn't specify an underlying reason as to why both components may fail in tandem, or what percentage of units may be at risk of being affected. Apple appears to have authorized free repairs for this issue, in or out of warranty. If there is liquid damage or accidental damage, however, out-of-warranty fees may apply. Apple quotes a turnaround time of roughly five to seven days. To initiate a repair, visit the Get Support page on Apple's website and select "Mac" → "Mac notebooks" → "Hardware Issues" → "The topic is not listed," explain the issue, and select continue. Then, select "Bring in for Repair" to schedule an appointment with an Apple Authorized Service Provider or Genius Bar. There are also options to contact Apple's support advisors by phone or online chat to initiate a mail-in repair in select countries. 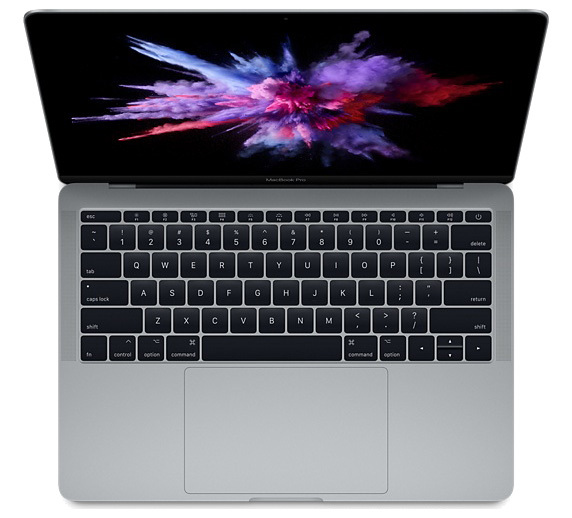 This issue could explain why the 13-inch MacBook Pro with function keys temporarily faced extended shipping estimates on Apple's online store last month, as Apple may have implemented a fix, although the brief shortage could have been purely coincidental. We've reached out to Apple for comment on the matter. 12:30 p.m. Pacific Time: Updated with corrected information about out-of-warranty fees. So Apple finds a defect but will charge people who's warranty has expired? So, what happens if we get this out of warraty period? Why don’t they issue a recall... this seems pretty serious enough. So, if my SSD fails out of warraty period, Do I have to pay for a new motherboard that was not damaged by my use? Makes little sense to me. Apple has always been a company that charges more for their products. Some have criticised this but most of their customers (including me) have been happy paying more knowing that we will be taken care of if there is a problem, due to the legendary Apple support. I hate to be the guy who brings up Steve Jobs, but the reason why Apple is a reliable trusted brand today is because he implemented this. He charged an amount which was much higher than the industry but then took care of all of his customers. I remember my friend had a few issues with his MacBook Pro 15 back in the day and after the third issue in a year, the Genius handling it straight up replaced the whole machine with the latest model. If Tim Cook started Apple, it would probably be a very profitable company but it would nowhere stand for the reliability the Apple brand stands for. Instead of acknowledging the mistake and promising free repairs on ALL machines affected, regardless of warranty status, they pull this crap. Unfortunately, it's the same for iPhone repairs, Mac repairs, etc. I really hate this new direction Apple is heading in, where the reliability of their products is poor and the customer service is getting worse. Profits are going up I guess and by the time people wise up, Tim Cook will probably retire. Good luck fixing these once your (usually 1 year) warranty expires. "Oh your SSD failed? Time to replace both your SSD and the entire logic board! You bet it's going to cost a lot!". This isn’t some big thing. Just limited TO ALL latest 13-inch MacBook Pro models with function keys. So in Apples words: This is why you need a touchbar so your function keys wont fail LOL. As if the entire 16/17 mbp/mb line had reliable keyboards lol. If people keep buying their crap to their eyes it's a success, "most pre-ordered in history" would say Phil or "a fantastic machine" (with toy keyboard) Craig. Unless you have a small "ding" or scratch on your MacBook. In that case, they'll first have to fix those(of course no warranty for that) before they can fix the issue under warranty. Nope, used them for over 30 years. Back in the old days whenever something like this happened, rare as it was back then, Apple fixed the machines warranty or not. It's a totally different company now in how they treat their customers. My last iPhone, which was under warranty, had the swollen battery problem that was talked about quite a bit in the news. Sent it in for a battery replacement and they denied it saying the problem was caused by exposure to water. That was pure b.s. as a drop of water had never touched the phone. After some legal pressure and pointing out to them they had a pattern of denying warranty claims using the same excuse they decided honored the warranty and later admitted they had gotten a bad batch of batteries, which had nothing to do with water. However, they only made the admission after they were hit wth a class action lawsuit by all the folks who had "exposed their phones to water." You would think they would learn their lesson, but fast forward a couple of years and my wife's iPad's USB port goes bad. Again, this was a problem that was mentioned a lot in the tech news. We had Apple Care and sent it in for repair and guess what? They denied the repair and surprise, surprise said the tablet had been exposed to water. Not to bore you with details, but another class action lawsuit later and the issue was remedied. You shouldn't have to sue a company to get them to honor their warranties, especially when they've produced a defective product. As I said, they've gone from being very customer oriented to customer hostile and I no longer use their phones or tablets and am very likely on my last laptop. I've given them a lot of money over the decades running my company with Macs, but it ain't the same organization it used to be. Tim Cook is taking advantage of the sheep and one day he's going to wake up and find they've migrated to another pasture.